When it comes to the success of e-commerce websites, so much is riding on an efficient shopping cart and check out process. Too often more time and effort is spent on the rest of the site that optimizing the shopping cart pages gets de-prioritized or forgotten. 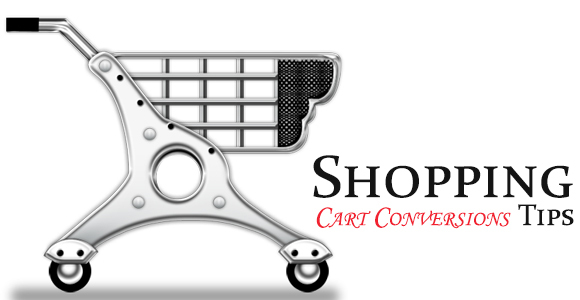 Do not leave the default setting of any shopping cart; each shopping cart and check out process must be customized to your website, your products, and your customers’ needs. There is a custom blend that will work for your website to convert more visitors into customers. Finding that layout is a continual process of testing, evaluating, calculating, and developing the right technology for your buyers. Below are the five keys to optimizing your shopping cart. In order to find the best blend of features for your unique website, we cannot stress enough how important it is to continually be testing what combination leads to the best conversions. Always remember what works for other websites may not work for yours, but you will not know until you test it out. Psychology plays into online shopping quite a bit and certain words, colors, and placements affect whether a shopper makes a purchase or not. Having the right blend of technology is a challenge. There is a true balancing act that happens here where the checkout process must be simple enough for the user with the most basic skills, while appeasing high tech shoppers with the technological bells and whistles they expect. Components of your technology include features such as auto-fill, security, auto-suggestion of related products, and having a smooth, easy checkout process. Every site has more customers start the checkout process than finish it. It is usually a very large difference, so do not worry when you see this statistic. However, it is important to play the numbers and evaluate where large numbers of visitors might be abandoning the checkout process. This will allow you to pinpoint specific issues that turn off shoppers and fail to convert them into buyers. Setting up a checkout funnel with Google Analytics is an easy process that will allow you to see the numbers of people leaving at each stage of the checkout process. If many people leave on the page that displays the shipping options, it could be that they are too expensive or it takes too long for delivery. If they leave where they are asked to enter their credit card and personal details, it could mean they do not feel secure enough to share this very private and important information there. Take a hard look at the attrition rates and where they are at and try to objectively evaluate the process for yourself, or ask others to be a test audience. Once again, testing out different scenarios against abandonment will help you identify the sources of trouble. From now on, never take for granted the process of a customer giving you’re their personal details and credit card information. The level of trust that you must establish for a shopper to willingly give up those details is very high. Display your security features, labels, and badges along with all of the professionalism and transparency possible. Customer service and support should always be readily available. Find the right balance with this too, as being too eager to help can often be seen as an invasion while customers are shopping. This is very much the same type of scenario when customers are in a store shopping and an overzealous sales person can turn them off quickly. However, help should be there and found easily and quickly when looked for. Keep top of mind with your customers using different techniques such as email, advertising, or even promotional gifts. Each of the tactics listed here incorporate one or more of the principles listed above. Always remember the most important aspect of the shopping cart process when incorporating all of these tactics, and that is to continually test what works best for the unique combination of your website, your products, and your customers. Do not require registration : Why add an extra barrier between your customers and the goal? That is all that happens when you require registration before a customer can complete their sale. It throws up all kinds of warning flags to wary customers who may not be ready to give all of that information or some would just rather finish their order without having to register with your company. Not requiring registration also keeps the process of ordering online simple. Display shipping costs up front : Some visitors are just looking and that is alright too. Some customers might have purchased, but when they were not shown the costs involved in completing the order, they leave without anything. Offer varied shipping prices and express delivery times : Cater to the varied needs of your shoppers by offering multiple shipping costs. In most cases, online shoppers do not want to pay a lot (or anything at all) for shipping. However, in some cases, they are ordering online because they could not find what you sell anywhere else and they need it in a hurry. They also understand that express shipping costs more money. Experiment with different types of shipping methods and pricing and always display as much detail about the type of shipping methods you will use and the tracking and follow through that will happen once you ship their order. Continue the design and feel of your website : As we have said, establishing trust is such an important aspect of the online shopping process. When your website visitors arrive to the screen where they are asked for their information, if it looks completely different from the rest of the site, they will get scared and might leave the checkout process. So, it is very important that your shopping cart establishes trust by maintaining the same look and feel of your website. List all policies clearly and concisely without adding clutter or distractions : As a general rule, the checkout process should be simple and free of distractions. That being said, it is still important to communicate certain policies, warranties, guarantees, and return information. Make sure that is done in the most concise and to the point way possible. When necessary to link out, make sure it opens in a new window and lets users know that it will not interrupt their checkout process and (most importantly) lead them back to complete the sale. Find the right balance of simplicity and delivery of the necessary information. Try a one page checkout and see if that works for you. Map out the goal : Clearly show the path you want your shoppers to follow. Include your call to action and do not assume that your visitors know what you want them to do, encourage them to do it. Another assumption that can get you into trouble is assuming that your visitors are as familiar with your website and shopping online as you are. Make sure your customers know where to go next in the checkout process. All of the “continue” and “checkout” buttons should be large, bright, prominent, and obvious. Finally, make sure that your customers get a clear sign that the order went through and was completed. The “thank you” page should be clear and informative about what the next steps are. Take that opportunity once the sale is to complete to ask them to share their purchase with friends or on their social channels. Follow up : The sale is no longer “the close”.The end of the sale is the beginning of your relationship with the customer. The communication starts on the “thank you” page mentioned above, next step is a follow up email. In that email, it is important to communicate with your new customer what they can expect to happen next. The level of communication can ensure their satisfaction when you set their expectations and then deliver on those expectations with shipment and delivery in the time frame explained and follow up. Continue to advertise and do things that will keep your company brand and image familiar to customers. This can be done with branded merchandise, email communications, or other advertising tactics. Retarget : Conversely, if the shoppers do not complete a sale,employ technology to retarget them. This could be in the format of emailing them, surveying them as they exit, or serving banners across a network of websites they visit after leaving your website. Author Bio: Eric Thomas is author and Brand Manager for BrandMe promotional gifts. He enjoys writing about online business and marketing tips.